Being funny to me is as important as making sure I have my keys with me. It's what makes me tick. I love having fun. Fishing is fun, no matter if they’re biting or not. Give me a good pond, a comfortable chair, a cool breeze and I’ll be your friend forever. You can’t beat taking your kids or a good friend to a good pond or lake. The day fades away while you really get honest with those folks fishing with you. I’ve saved many a joke from a good fishing trip. Some of my true stories were created while on fishing excursions. These were high school and college buddies that created many stories in our years together. This particular day we had a blast hauling them in. Many of the stories on this site came from incidents and experiences during my college years. I've always loved being as non-serious as possible. DISCLAIMER: When it's ok to do so. This picture was from 1973. Freshwater Stadium was a horn band similar to Chicago. Just below is a clip of a commercial we used to do at frat parties and club dates....when the audience was ready to receive it, which was usually into the 3rd set of the night. Imagine being a little tipsy trying to figure out what this was all about. My most favorite thing to do is spending as much quality time as possible on the back porch with my girls. We’re a close-knit family that enjoys each other and shares life every opportunity we get. We live back in the woods and let the wildlife entertain us. Every Saturday morning as we have coffee and breakfast, we’re treated to a floor show by the squirrels, birds, chipmunks and deer. The animals aren’t scared of us and come up on our patio, close to the porch and fetch their treats. We’re only a few feet away. It’s relaxing and fun. Our porch is the most visited place in our home. For the past 25 years, I’ve been making presentations to all sorts of groups: Teachers, Civic Organizations, Sunday School Classes, Church-Wide Retreats, Private and Public School Groups, Men’s Functions, High School Reunions and even the N.C. Department of Corrections. People of all ages laugh at the same things……funny pictures, jokes, videos, cartoons and true stories. I have been around the block with many business opportunities. I was successful in almost all of them……for a very short time. The problem was that I spent most of my time going to opportunity meetings, while being rejected by the majority of people I approached and motivating those underneath me. My level of success was determined by others, not by me and my efforts. All of these opportunities ended in failure and “I told you so” by many friends. Later, I was made aware that it was possible to develop a substantial income stream, using the internet, working by myself, building on my 3rd love…..making people laugh. 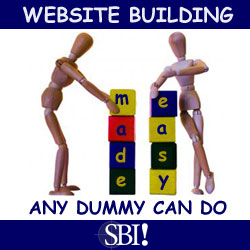 You can do the same thing by using what you already know, not to build a website, but to build a web business. See how you can use your passion, your hobby, your interest or your knowledge to develop a long-term, secure income stream. Are You Just Like Me In The 72% Of Americans Today? I was watching Dr. Phil recently as he and Oprah were talking about the status and direction of our economy. He then elaborated why income sources and streams are a changing. He predicted that as much as 72% of America was attempting out of necessity to develop a home-based business. And, in the next 5 years, we all would benefit by having one. If you’ve considered or are wondering what home-based business is out there that might fit your temperament and style click here. Do You Have Some Computer Expertise? You can achieve building a profitable web business by simply following an action guide. I had never touched a computer until I was 33 years old. No problem, if that’s you consider doing as I did and take an online class. This training allows you to learn by watching, listening and reading. I too am a visual learner. Imagine Owning A Business That Generates A Good Monthly Income And You Have No Product Or Service To Sell. I must have led a sheltered life. My wife always said that I had a brown thumb and was an entremanure. The word infopreneur was foreign to me. An infopreneur establishes an income stream by selling nothing…..no products or services. See how you can do the same thing. What If You Are A Student? A friend of mine recently told me about the law he had laid down with his off to college Freshman. He explained to his daughter who is majoring in Dance that he wanted her to develop a web business over the next 4 years. 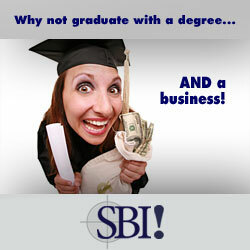 When she finishes college and has her degree, she would also have a growing monthly income. Wow, would that free her up for her career in Dance. Imagine, not being dependent upon income earned from your career. Talk about security. See how all this applies to Students. Are You A WAHM (Working At Home Mom)? Very few Moms are able to raise their children without being forced to contribute to the family's bottom line. Wouldn't it be great to accomplish this task without ever leaving the house? Are you in this picture? Listen to several Mom's who are now contributing monthly income while staying at home to raise their child. Please accept a gift from me to you. You can use this in many ways…….schoolwork, ad copy, proposals or illustrations, etc. This e-book teaches us how to make our words sell. I hope you have a good time on this site. It grows weekly as new stuff comes our way. If you have something that would crack us up, please send it to me. We All Can Be Funny when we need to. Blessings to you, each and every day!